Let me start off by saying that I am having tons of fun testing out all the local studios here in MN! These sweaty adventures are keeping me (and Justin) very busy on the weekends and it is also a great way to meet new people, so it is a win-win. so we thought, go big or go home right? We showed up early to sign in and get a quick tour before class began. The first 35 minutes of class was spin. 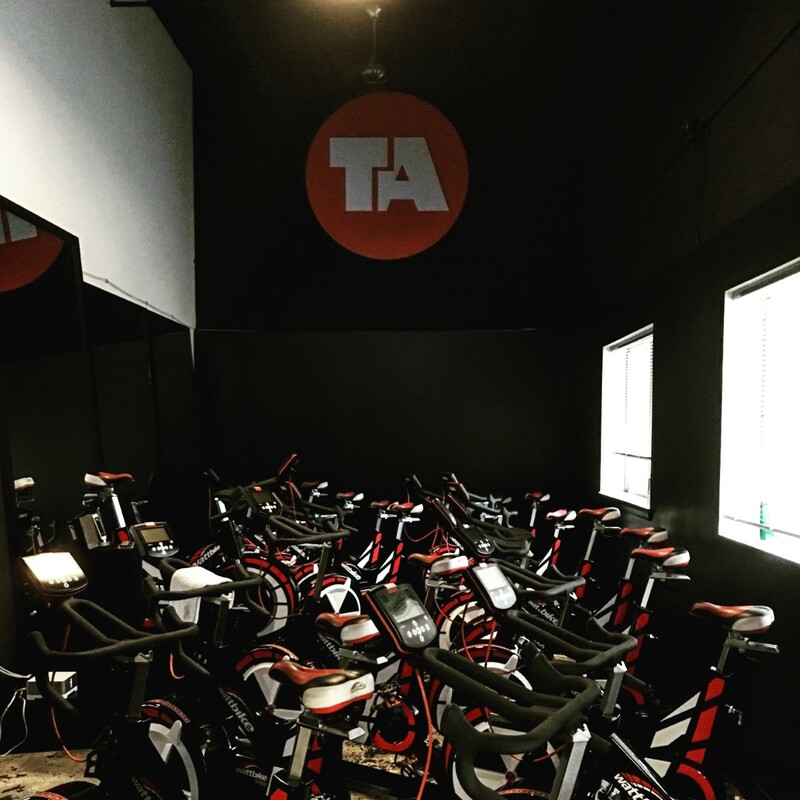 However this is not your average spin class, Tiger Fit has WATT bikes which function opposite to how your typical spin bike does. These bikes force you to focus on pedaling with your backside muscles and not your thighs! It took a couple minutes to get in the groove but once I did, it was a killer workout. After spin ended, we headed into the studio room next door for 50 minutes of strength and core. The instructor pushed us to our limits with all sorts of crazy challenges. We used resistance bands, sandbags, heavy weights, and gliders to work all areas of the body. Class ended (90 minutes later) with a 5 minute stretch session and a little extra foam rolling in their studio. So what did I think? I LOVED Tiger Fit! The studio is focused on true athletic training. The instructors are very knowledgeable and design all their classes accordingly. The class sizes are smaller and you get a lot of hands on help from the instructors. 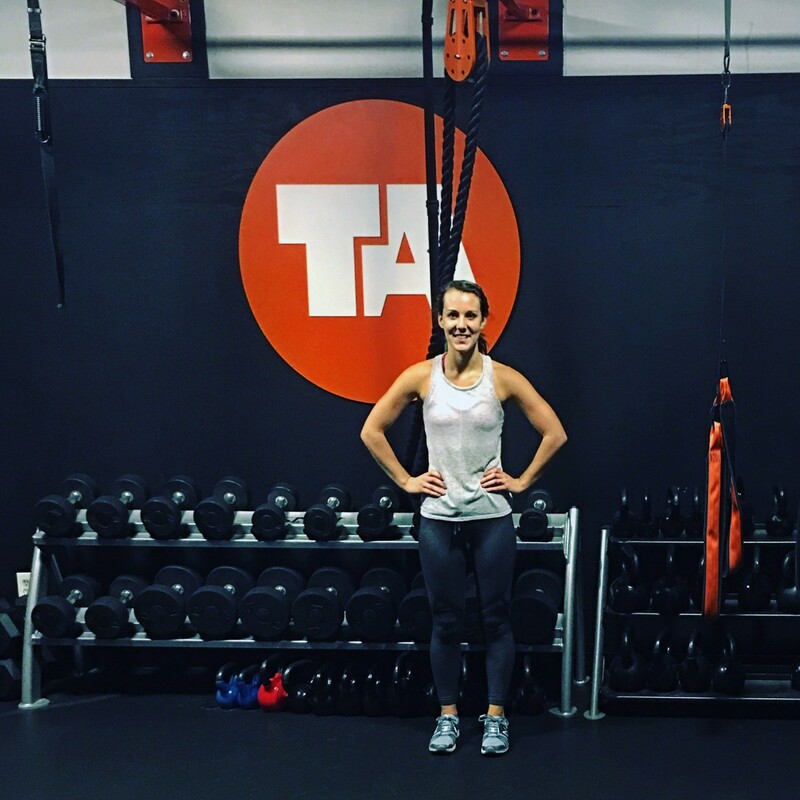 The studio offers a WIDE variety of classes – HITT, Arc Training, Treadmill Training, Spin, Core, Barre and Yoga! I would join this studio in a second if it wasn’t for their membership prices, unfortunately a little too pricey for me. Luckily, they are a part of classpass so hopefully once I activate my membership here in MN I can get back to Tiger Fit!